With the help of several controversial decisions, the Seattle Seahawks beat the Detroit Lions in the NFL playoffs. The Seattle Seahawks benefited from several controversial decisions in a 26-6 win over the Detroit Lions in the NFL playoffs. As controversial as Seattle's win may have been, the Lions did not do enough to win at CenturyLink Field. The Seahawks benefited from some missed calls and pass interference penalties in their favour. The victory sends the Seahawks (11-5-1) to Atlanta for next week's NFC divisional playoff game against the Falcons (11-5). As bad as the officiating may have been from the Lions' viewpoint, the Detroit defense simply could not slow down Seattle's ground game. 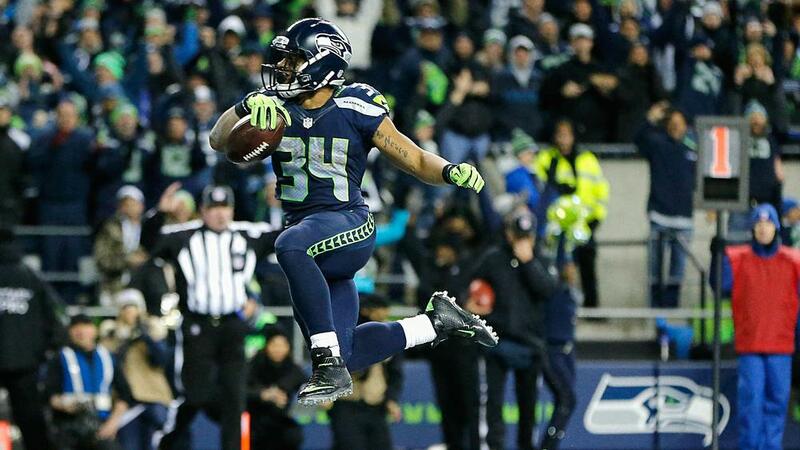 Seahawks running back Thomas Rawls bulldozed through the Lions for 161 yards on 27 carries. He set a new single-game rushing record for the Seahawks, surpassing Marshawn Lynch's 157 yards in the 2014 NFC championship game. Rawls followed center Justin Britt into the end zone for a four-yard touchdown that gave Seattle a 19-6 lead with under nine minutes remaining. The score capped an eight-play, 82-yard drive to put the game out of reach. "The big boys up front did their job," Rawls told NBC Sports. "We wanted to end like this. Running the ball, that's our identity." Doug Baldwin's 13-yard touchdown catch with three minutes, 36 seconds remaining was just gravy. The play of the game was a one-handed grab made by Paul Richardson to give the Seahawks a 7-0 lead in the second quarter. Richardson made the catch with his left hand despite grasping the facemask of Lions safety Tavon Wilson with his right hand. Wilson was flagged for pass interference, though it was declined, and officials later admitted to Lions coach Jim Caldwell they missed what should have been a facemask call on Richardson to negate the score. Richardson finished with three catches for 48 yards, including an incredible 19-yard catch up the sideline late in the second quarter to get the Seahawks into field-goal range. The Lions were once 9-4 and in line to grab the number two seed in the NFC. Instead, they finished as the sixth seed and close the season with four straight losses. Blame the finger injury of quarterback Matthew Stafford, who finished Saturday's game 18 of 32 for 205 yards, or an offensive line that fell apart, or a defense that failed to slow down anyone over the last three weeks, the Lions could not end a playoff losing streak that dates back to the 1991 season. Since beating the Cowboys on January 5 1992, Detroit have lost nine straight playoff games. While Seattle's win sends the Seahawks to Atlanta, it also means the winner of Sunday's game between the New York Giants and Green Bay Packers at Lambeau Field will play the Dallas Cowboys (13-3) next weekend at AT&T Stadium. The Seahawks took a 26-24 decision over the Falcons in week six, but that game was in Seattle. Next weekend's game will be at the Georgia Dome and the Seahawks, who are 8-1 at home, are just 3-4-1 on the road.